Why bonus Soundtrack included ?? Are they trying for the profits to make Irregular Hunter 2/Rockman Rockman 2 in the future ? Hmm.. I'd buy it for the soundtrack, $30 for two games and an OST, can't beat that. 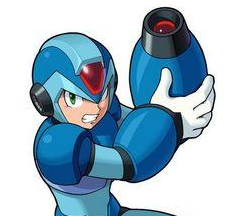 I really want a Rockman Rockman 2/ Mega Man Powered Up 2.